Service design is about fusing what [a brand] stands for, what customers can expect from it, with emotionally-driven insight into more fundamental human motivation and needs. With its origins in the public sector where it is spearheading the growth of new and highly customised public services, it’s hardly surprising that service design has not loomed large on marketers’ horizons.Essentially, service design is about fusing a brand’s ‘top down’ commercial value-driven perspective; what it stands for, what customers can expect from it, with ‘bottom-up’ emotionally-driven insight into more fundamental human motivation and needs.The aim is to help brands come up with ways of engaging consumers so that their needs and expectations are met in new and sometimes unexpected ways. Service design works by analysing the broad spectrum of how consumers engage with a brand and its infrastructure. In doing so, it encompasses different practices from user experience design, customer experience design and psychology. Its main purpose is to bring design creativity to help brands rethink their entire ecosystem to focus more on adding meaningful value to consumers. So why should this matter to marketers? In our highly connected digital age, customer touch-point opportunities are proliferating faster than brands can adapt. With so many platforms being offered, consumers are spoilt for choice. Creating and promoting new products is not enough to build customer loyalty, nor is launching extraneous services that just add to the clutter of consumers’ lives. Brands need to consider their wider engagement with audiences and find ways to be useful to consumers beyond the limits of their original product or service. Service design is a process that helps brands transform from commodities to loyal partners that support consumers in living a meaningful life. Nike and British Gas are both examples of brands that consciously or otherwise have started to embrace service design. 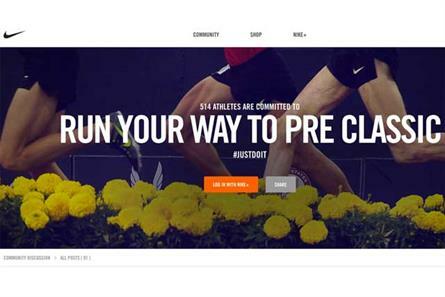 Nike is redefining its focus and giving consumers the tools to become athletes. Similarly British Gas has always been in home utilities but with the launch of Hive which allows consumers to control their heating/hot water remotely using their phone/tablet, it is working out how to become useful to customers beyond their gas bill. Both brands have moved beyond their original product/service to offer added-value services to customers while remaining true to their brand and sector. Service design also helps brands and the organisations behind them to build a connection with consumers over the long term. After all, products are only paid for once. The challenge for brands in this digital age is to create services that grow with consumers’ evolving needs by delivering value over time. The risk for brands that don’t embrace this approach is that a start-up will come along and do it better. The rise of digital is of real benefit here: the growth of personal devices such as wearables and the data they generate about consumers means it is increasingly possible for marketers to know a lot more about their consumers, including what they care about in a particular area (such as fitness or health) and therefore how to personalise services much more effectively. When it comes to smart use of data, marketers have a head start: they already use data and analytics to track the effectiveness of campaigns. Looking ahead, the challenge for marketers is to broaden their use of data to include a greater focus on personalising the product or service they deliver, in order to build consumer loyalty over the long term.